At Garden Trading our focus is to design and produce functional products for the home and garden, without having to compromise on style. From a bread bin to an exterior light – we are passionate about making products that will last for years, and earn you plenty of compliments from your friends too! Our aim is not to follow a throw-away society but instead to sell attractive, everyday useful items that are made to a high quality that will stand the test of time. 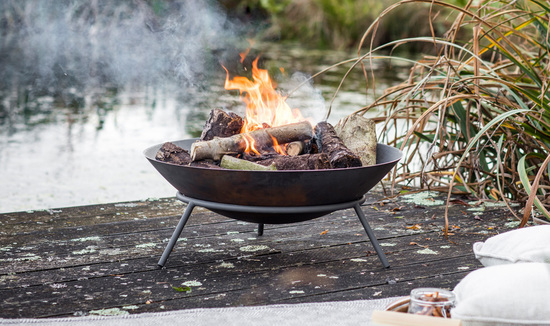 At Garden Trading we strive to make our products using responsibly sourced materials, within the EU wherever possible and from ethically-responsible manufacturers. We want to create a brand that customers will keep returning to. Furthermore,we wish to give our customers an excellent service and standards that they have come to expect. So whether you are looking for accessories & lighting for your kitchen, garden, potting shed or laundry room - we have a lovely range of original products that we hope will fit the bill. At Garden Trading, we are passionate about excellent customer service and meeting expectations. Therefore, we aim to dispatch all orders within 3-5 working days, however your order can take up to 7 days to be delivered. A signature may be required, so please choose a delivery address where someone will be in to receive the parcel. We are unable to accept liability for any delay resulting from something which is the responsibility of the courier. Courier Collections-please ensure that you understand when placing an order, that if something is wrong and you need to return it then our courier does not offer timed or weekend collections, and someone needs to be in when the collection takes place.